You are here: Home > Gardening > Trees and shrubs > Create your own bonsai! The Egyptians were familiar with putting trees in pots to carry them around easily, then the Chinese did it because it looked good, but the Japanese are the people who became masters in the art of bonsai. Why shouldn’t you also try your hand at making a miniature tree? Whenever a seed falls from a tree and ends up in a small niche or nook in a rock, it will sprout and grow if it finds a bit of soil and enough light and water. These minimal resources force the tree to stay small. Bonsai art emerged from this simple observation of nature’s work. 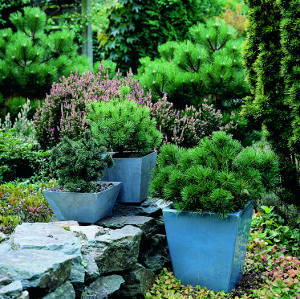 You’re as qualified as anybody can be to grow a tree in a pot. If you’re a beginner, best start with a bonsai grown from a local species that is already a few years old and formed by someone else, just to get the hang of it. After that, you’ll be able to start from a tree found in a nursery or a sapling collected from your garden. Each and every tree can be grown in a pot, although some – horse chestnut trees, for instance – aren’t as aesthetically pleasing because their leaves are so large. 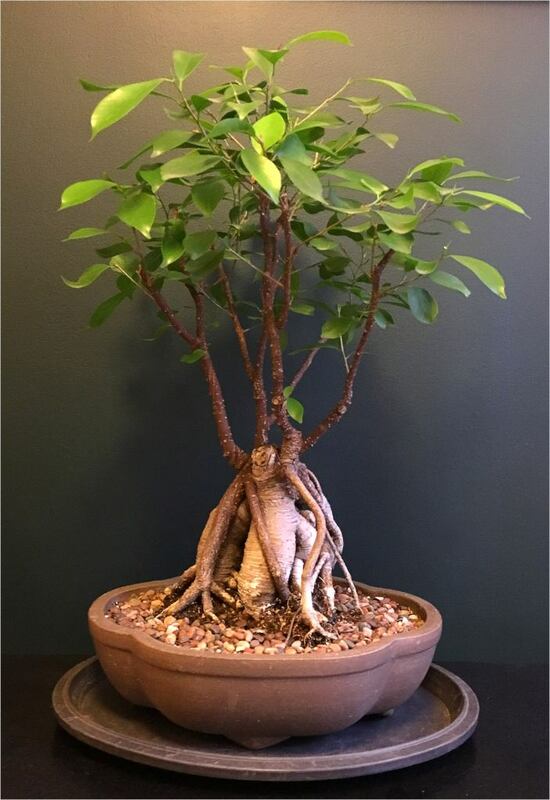 To transform your tree into a bonsai, cut the largest roots: they are useless in a pot and their absence will trigger growth of smaller rootlets. Set your tree up in a special bonsai substrate, adequately designed to match the needs of that particular species. It must drain well, while still retaining water to avoid both drowning and desiccating the roots. Lastly, snip the smaller branches to size and pinch terminal buds off to make the tree branch out and move closer to the desired shape. Like all trees, a bonsai needs light, water and food. If you’re growing an exotic species that spends winter indoors, give it as much light as you can, and, whenever the weather is mild enough, bring it outdoors but veil it to keep it from getting an overdose of sunlight. Keep local varieties outdoors, simply protect them somewhat against freezing. Top off the care with liquid bonsai fertilizer for indoor plants, and organic fertilizer for outdoor ones. At all times, remember to water your bonsai often to keep the moisture content stable. Treated with such care, it will survive for decades!